Last week, U.S. 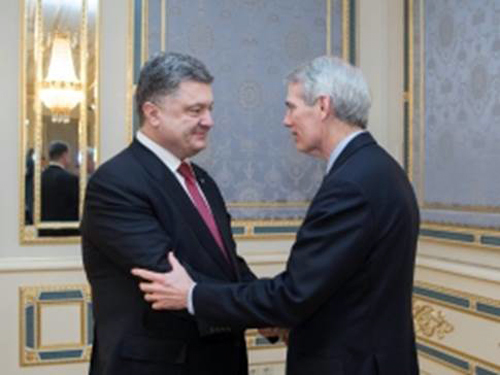 Senator Rob Portman (R-Ohio) traveled to Ukraine to meet with Ukrainian President Petro Poroshenko, as well as other government officials. Portman has repeatedly called for increased U.S. military assistance to Ukraine as they continue to face Russian aggression. Portman recently hosted European ambassadors to the United States, a Ukrainian parliamentary delegation led by Deputy Speaker of the Ukrainian Parliament, Andriy Paurbiy, as well as U.S. Ambassador to Ukraine Geoff Pyatt in the U.S. Capitol to discuss the U.S.-Ukraine partnership. Portman also traveled to Latvia to meet with Latvian officials, U.S. troops and discuss the importance of the U.S.-Latvia relationship. Prior to his trip, Portman met with Latvian Ambassador Andris Razans to discuss recent developments in U.S.-Latvian relations. 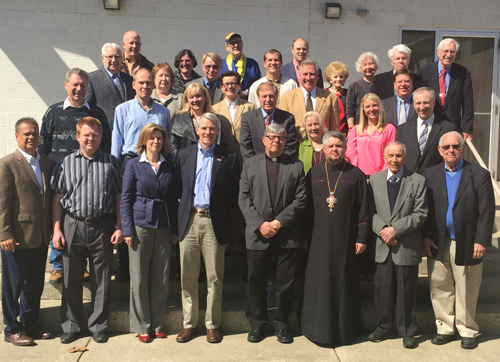 On Friday, April 17, 2015 Senator Portman, co-chair of the Senate Ukraine Caucus, met with members of Eastern European communities in Cleveland to discuss his recent visit to Ukraine and Latvia. 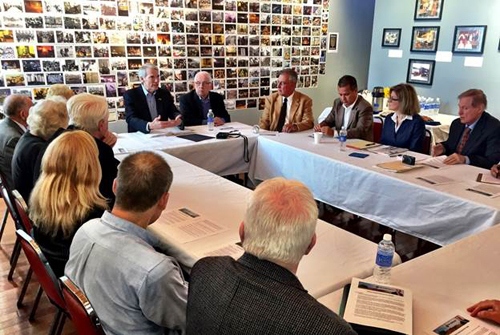 �It was good to meet with Clevelanders who share my concerns regarding the continued Russian aggression in Ukraine,� Portman stated. �Many Ohioans still have family in Ukraine, and I was pleased to have the opportunity to report what I saw on the ground, as well as my conversations with President Poroshenko. I will continue to push for increased U.S. assistance to Ukraine and our other allies in the region." Senator Portman has repeatedly called for increased U.S. military assistance to Ukraine as they continue to face Russian aggression.